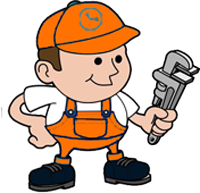 There are numerous plumbing tips that one can always employ instead of searching for the best plumber Melbourne. In a bid to save on the little hard earned cash that you may have for other important expenditures, not everything regarding plumbing services should attract the attention of a professional plumber. As a matter of fact, you should only invite one if you feel it is necessary. Using a rotary device and cutting wheel, simply cut the cap side to fit what you want to achieve. You should not be very worried about the plastic seal since this is always replaceable. Also, while cutting the cap slide, it is important to be very careful not to cut into the threads of the brass. In case the cap does not freely twist, and it happens to be a metal, try heating it using a heating gun as you grip it using slip-joint pliers bare teeth. Should this fail, then it is advisable to try cutting the cap using a rotary device too or cutting wheel. Follow this by jamming in a screwdriver with a flat blade and try widening the opening till the cap is unscrewed. It is important to get an appropriate grip. This can be achieved through the use of hex sockets as well as compound for valve grinding in order to prevent the set screws from stripping. Should the hex tag fail to loosen, do not force it; as this ruins the bead. Simply buy a tube of compound valve for grinding and then apply to the tip of the hex. This should then be followed by freely breaking the screws using a ratchet. When you learn that the faucet is not getting repaired appropriately, it is important to have it replaced. Once this is done, try checking the spout for weeks, if the leak persists, it is then imperative to do a complete overhaul to the inner side of the spout. 4. When all these fail, you can then invite a professional plumber Melbourne to initiate complete plumbing services. This will in the long run give you a piece of mind.